Catalyst Game Labs is pleased to announce a collaboration with our good friends at Game Trade Magazine (GTM). 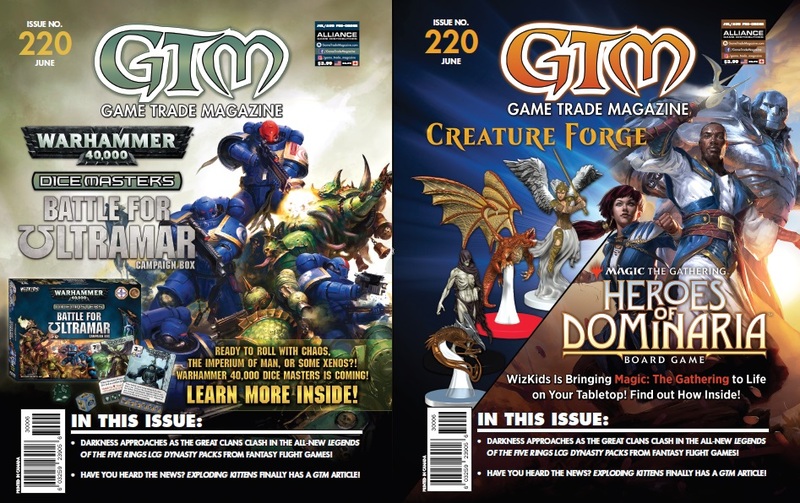 Issue #220, available this month, not only has a great Dragonfire article, but polybagged with each GTM is one of four random Ranger Class promo Character screens, which you can see below. If you’re at the Origins Game Fair next week, you’ll find GTM at booth #145, distributing copies of the magazine! Previous PostPrevious D&D Announces Stream of Many Eyes!